One Pot Sugar-Glazed Roast Sunday Lunch. Hello friends. 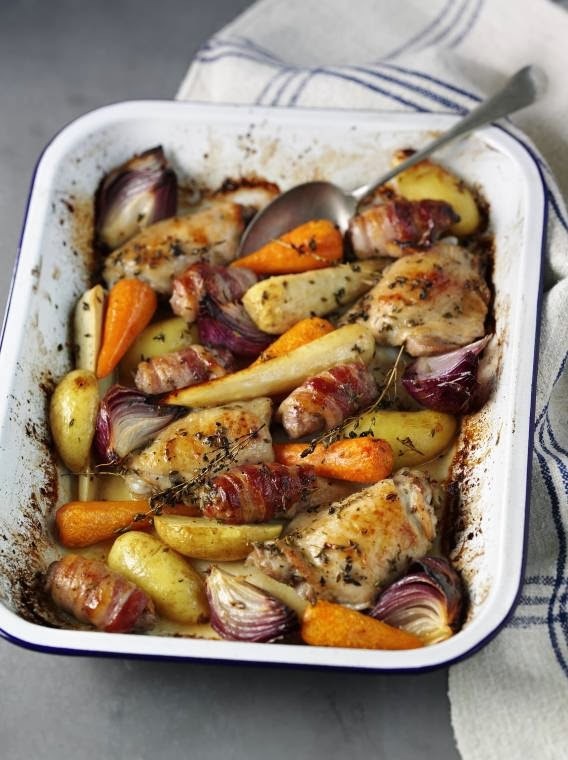 Are you looking for a one pot Sunday roast idea? How about trying this One Pot Sugar-Glazed Roast Sunday Lunch? Preheat the oven to 200°C/Fan180°, 400F, Gas Mark 6. Mix together the olive oil, vinegar, Tate & Lyle Fairtrade Golden Syrup Cane Sugar, thyme and a generous amount of salt and pepper. Next, wrap each sausage half in bacon, then place in a large roasting tin or 2 smaller ones so as not to overcrowd everything. Add the chicken, potatoes, carrots, parsnips and onions, then drizzle over the olive oil mixture and rub everything well to coat, ensuring the chicken is skin-side uppermost. Roast on the middle shelf of the oven for 35-40 minutes, turning the vegetables and sausages halfway through and basting everything with the juices. When the chicken skin is crisp and golden and the vegetables are glazed and tender, the dish is ready. 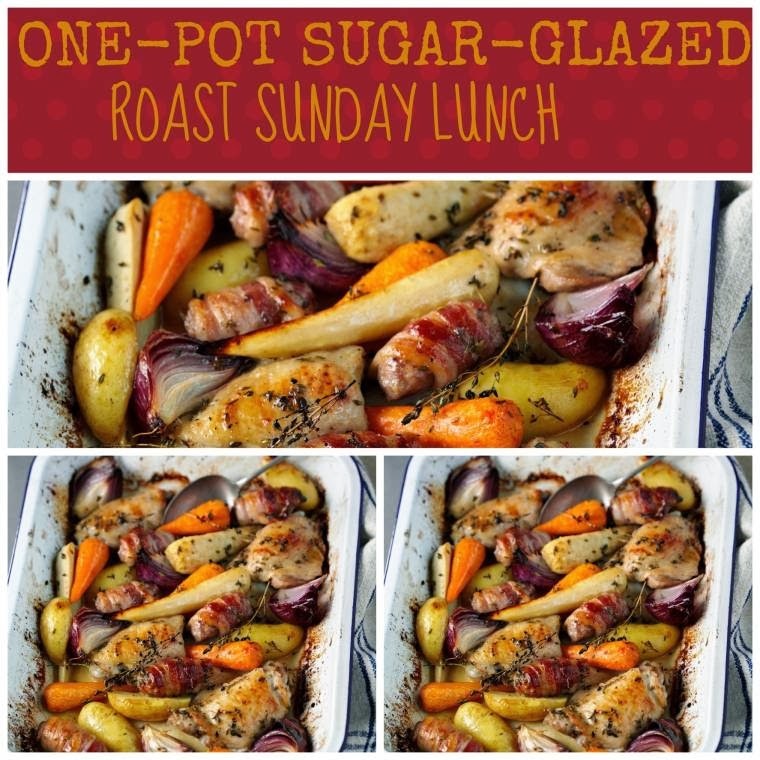 What do you think of this One Pot Sugar-Glazed Roast Sunday Lunch recipe? Boxing Day Turkey And Raspberry Salad. New Frusion By Rocks Drinks (Review). Delicious looking Sunday lunch for sure Claire!